How can your daily commute turn into a knowledge machine that helps build your fortune? These are the changes that will allow you to lead the field yourself. Now it’s your turn to bring positive changes to your own life. ...it’s probably getting better care. It’s no secret; we acquire the skills of living successfully through knowledge. Knowledge, properly applied, is power. The more we know, the more successful we can become. The greater our knowledge, the more we can exercise control over our lives and our futures. Yet the challenge is that our store of knowledge is growing far too fast for anyone to keep up with it. It’s like walking into the Library of Congress with its millions of volumes and trying to decide which book to read first, knowing that even if you lived 1,000 years you couldn’t read them all. Well, fortunately, the answer to pinpointing the knowledge you need to become wealthy, fulfilled… and with plenty of free time to enjoy your life… has been solved. It was solved by a man who discovered a systematic approach to becoming wealthy. He first used it to become wealthy himself, and then he went on to teach countless individuals (estimated in the tens of thousands) to do the same. Earl Nightingale’s parents struggled their entire lives, and he vowed he would not repeat their hardships. Starting at an early age, he made it a point to study and learn everything he could to become successful. He studied the writings and thinking of the greatest minds the world has ever known: Socrates, Aristotle, Marcus Aurelius, Benjamin Disraeli, Ralph Waldo Emerson, Dr. Norman Vincent Peale, William James, James Allen, William Shakespeare, George Bernard Shaw, Sir Isaac Newton, Spanish philosopher Ortega, German philosopher and writer Goethe, French philosopher Teilhard de Chardin, British philosopher Bertrand Russell, Andrew Carnegie... quite a cast of brilliant minds to learn from. Earl was convinced that within these varied teachings lay the ultimate secret to success. He was determined to figure that secret out. And he did just that! He was able to distill what he learned from these great thinkers into a simple, straightforward success formula, one that made him a very rich and very successful man. As his own personal fortune grew, Earl began to develop a unique skill for teaching others the very steps they should take to be successful themselves. He realized he was a natural teacher and could help others enjoy the rewards of great fortune and opportunities by arming them with the right information… the right knowledge. The word of Earl’s success formula quickly spread… from hundreds, to thousands, to tens of thousands and more. He became renowned for his ability to communicate profound ideas in a succinct, understandable, inspiring way — making them amazingly practical and instantly applicable. “Back when I was a high school student, I struggled with math. It just didn’t seem to be my thing. But that all changed when I got a teacher who understood how to teach math in a way that made it interesting and easy to comprehend." “I remember the first day of his class clearly. I asked a question that had perplexed me for years. With one simple explanation, he made me understand." Earl Nightingale, the co-founder of the world’s leading personal and professional development publishing company, Nightingale-Conant, was that kind of teacher. Only his subject matter wasn’t math. It was SUCCESS. Earl became the Mentor to the Mentors. His world-famous formula for success is as potent and relevant now as ever. It is impossible not to make tremendous strides in your quest for success every time you listen to him. So, if learning the right knowledge you need is the key, where does your commute come in? You may not have many long, luxurious stretches of free time during your day. But you do have free moments whenever you drive your car or while you commute. And if you’re like most people, when you find yourself driving, the first thing you do is turn on your radio. You might have it tuned to a talk show or a sports station, or maybe you just listen to music. That might distract you or relieve a little boredom. But listening to the radio is not going to make you wealthier. Smarter. Or happier. It’s not going to help you grow your business, land a client, or figure out how to increase your salary. 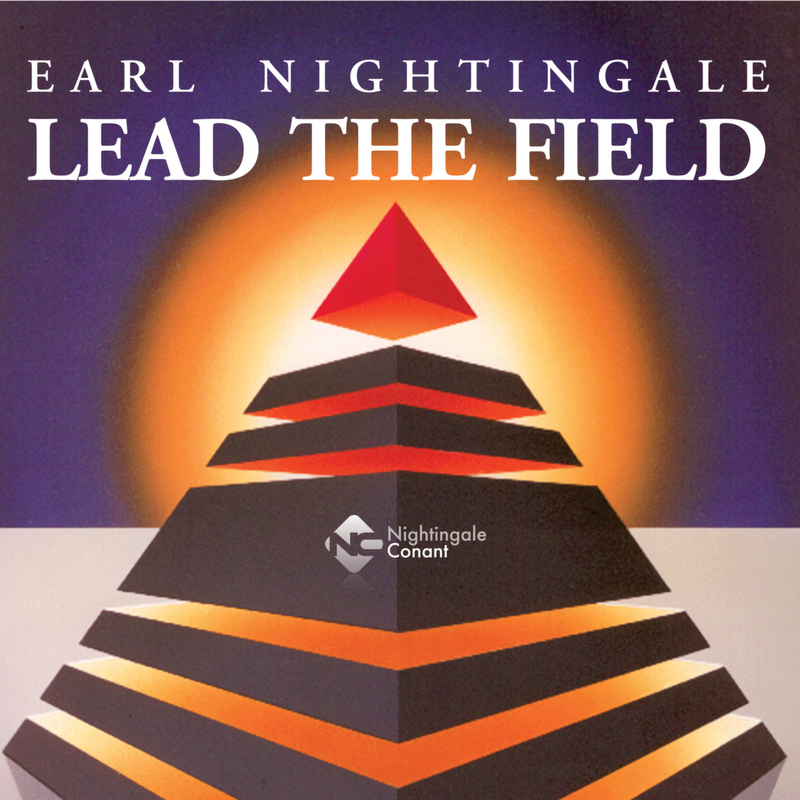 But here’s something that CAN: Earl Nightingale’s Lead the Field. While most people are listening to the radio as they commute, your car can become a “success machine,” getting you precisely what you want, when you want it. It’s a fast, easy way for you to revolutionize your time and your life! With Lead the Field, you’ll discover something so powerful and effective, it can be worth a fortune to you over a working lifetime. It’s so rich in detailed steps that lead to success, you’ll count it among your most treasured possessions. You’ll learn to generate new levels of drive and enthusiasm. You’ll raise your courage and self-esteem. You’ll become more creative, get better ideas, create better opportunities, and make more money. You’ll be a better communicator. You’ll be happier, more serene, and more immune to stress. In short, you’ll be equipped as never before to become the success you want to be — in every area of your life. You deserve the happiest, most rewarding life possible. You deserve all the abundance, fulfillment, and accomplishments you’ve ever wanted. Earl Nightingale can show you the way. I invite you to experience the life’s work of the man who has inspired so many. His vision and wisdom are invaluable to anyone serious about becoming successful. And his message is timeless. Lead the Field is not an expensive item; it’s an investment. And as far as we know, it could be the best investment you’ll ever make. Many people have claimed that Lead the Field was a direct and major contributor to their success. It will pay dividends out of all proportion to its small cost, and not just in pleasure and knowledge, but in cash… in income. I strongly urge you to make this small investment now. If you do, your more prosperous, fulfilling future is practically guaranteed. Minutes, hours, days, weeks, and years are going to pass anyway. And once sacrificed, time is the one thing you can never get back. advance your career, improve your relationships, and more. It won’t require endless hours of study. It all just falls into place once you start listening. then you need to remain dedicated to learning. with fresh, effective ideas you can use every day! Jump into your “knowledge machine” and get to your desired future faster. the knowledge machine door and this opportunity will be closing soon. I Want to Put the World’s Greatest Success Teacher in My Pocket and REVOLUTIONIZE My Idle Time! Please send me Earl Nightingale's Lead the Field for the special price below. Don’t miss the chance to listen to two of the top billionaires, leaders and speakers of our time. This amazing message was first played for a group of salespeople at Earl Nightingale’s insurance agency. - They were utterly electrified. Word of it spread like wildfire, and everyone who heard it was positively ignited into action. Today, more than 40 years later, The Strangest Secret remains one of the most powerful and influential messages ever recorded. It continues to transform the lives of everyone who hears and heeds it.